The venue was a big and modern university and the accommodation was neatly located a few footsteps from the lecture hall. That’s especially nice for the typical English weather We got to live in the student dorms and I’m a bit jealous of today’s student to be able to live in such a comfortable place. I liked Simon’s talk on enabling users to modify the software they are running. Essentially, you can click a button in the application and it’ll fire up an IDE where you can change code and hit “play” to run the new version. Amazing. Software Freedom at its best. He demoed a prototype and I think it’s got potential. I really like the idea of the user being able to tinker around easily. Especially given that the status quo is jhbuild. That’s a nice tool, but it proves to be hard for people to make good use of it. I hope we will see something like this being used in the future. Federico was telling us about the efforts to make use of the Rust language for GNOME. The gist is, essentially, that you better start with leaf functions of your app or library rather than a central function in your architecture. I then tried to find leaf functions with the help of the compiler, but I failed. I tried Egypt but I wasn’t patient enough to make proper use of the generated dot file in order to identify leaf functions. Maybe I should give cflow a try next time. I used the BoF days to dip a little bit into Rust. 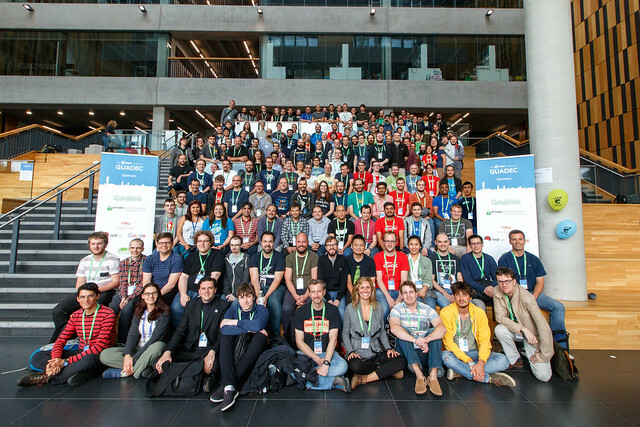 It’s always helpful to have a bunch of smart hackers around. That’s what I like about these kind of events. You get to know and talk to very smart people. I also tried to catch up with my very talented student and discuss the changes we’d like to see. 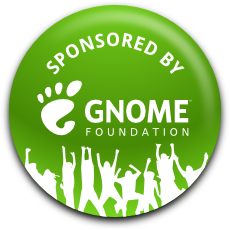 Thanks to the GNOME Foundation for sponsoring my travel and to the local team for having organised a successful event!